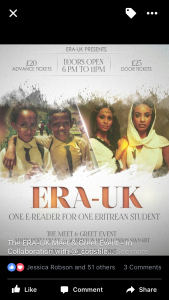 What a fantastic event, bringing so many Eritreans together at the wonderful Adulis restaurant near the Oval. 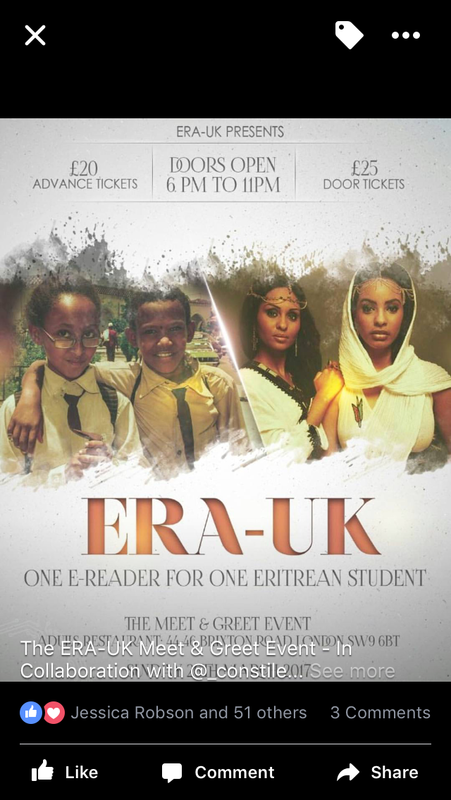 This event was very successful, many people got to meet new friends in the community, and we raised £2500 to help fund the ERA-UK E-readers project to help Eritrean children with their education. A big thank-you for everyone who came along and to all the volunteers who helped to make it happen.